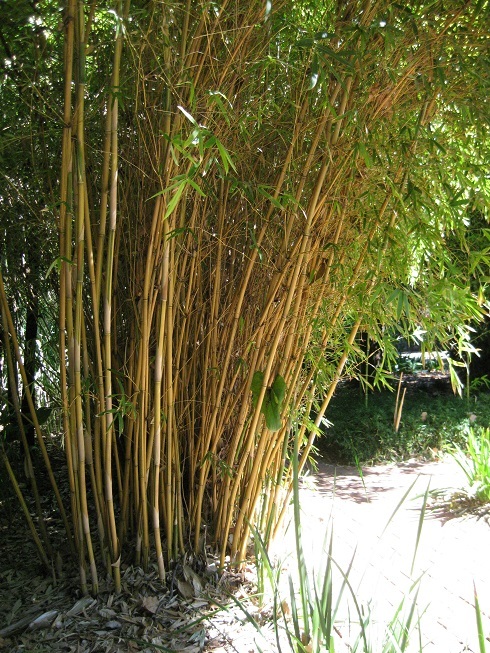 Alphonse Karr is a very popular, smaller screening bamboo which features beautiful stems that are yellow with green stripes. The edible young shoots and culms are a delicate green striped pink and change to gold as they mature. The lower third remains relatively leafless, so the canes become a feature which burst into a cap of fine, distinctively arranged leaves. Beautiful ‘fern like’ foliage. It needs a wider garden bed as it also features a denser clump. Very popular for a garden hedge because of its erect form and moderate height. Ideal for colder climates since it thrives in cooler temperatures such as Adelaide and surrounds. It will grow to 3-4 metres.